Bobbi Brown Crushed Liquid Lipsticks ($26 for 0.2 oz / 6 mL) are supposed to combine the color payoff of a traditional liquid lipstick, the shine of a gloss, and the feel of a lip balm. There are 14 shades and they retail for $26 each. They can be purchased from Sephora, Bobbi Brown, Nordstrom, and Blue Mercury. The packaging feels sturdy and well-made. The applicator is slanted on one side and a bit rounded on the end. It pulls out the right amount of product (not too much or too little). There is a slightly lemony fragrance which is very subtle to me. It isn’t something I notice during application, only when I checked to see if it indeed had a scent. I purchased the shade Give a Fig, which is described as a “Dusty Red Rose.” It is a slightly muted medium pink with warm undertones and a glossy finish. There is no shimmer in this shade and it is nearly opaque on me. You might see “liquid lipstick” in the name and think this is going to be drying and heavy. It is not. When I first put it on, it feels like a cross between a lip balm and a lip gloss. It isn’t very thick, heavy, or sticky but there is some substance to it. Over the course of wearing it for a few hours, it dries down to something that feels more like a traditional lipstick. By the end of wearing it, my lips feel ever so slightly drier than they would with nothing on them, but it is in no way uncomfortable. For me the best way to apply this is to use the included applicator for most of my lips and then go in with a lip brush around the edges. You could also just use a lip liner in a similar color. I didn’t find the applicator to be precise enough for my liking. This fades pretty quickly, especially near the center of my lips. It doesn’t create a harsh line where it fades, though, which I appreciate. After about an hour I can already see a good bit of it wears off in the middle of my lips. The outer edges hold up far better. I can get about 3 hours out of it before needing to touch up. 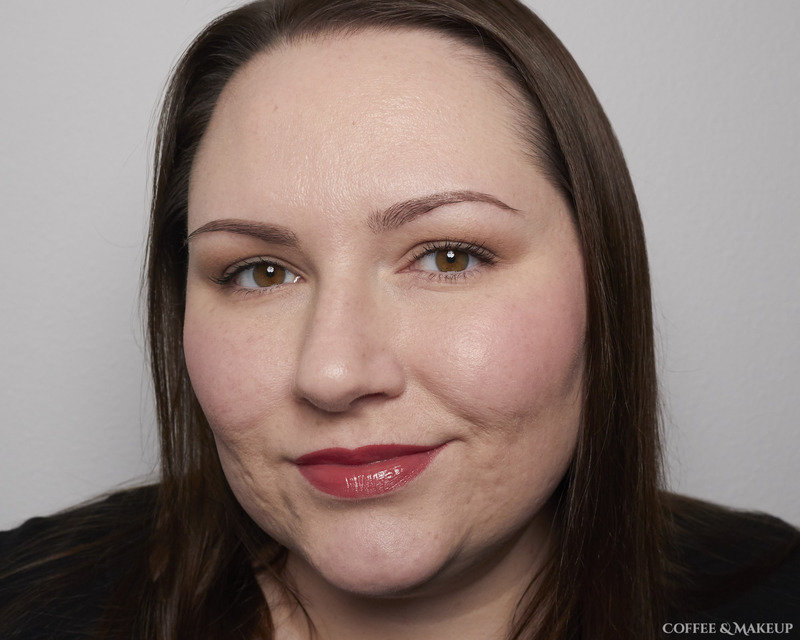 I am able to reapply it over itself beautifully without any goopiness and I don’t have to go back in with a lip brush because the outer edges hold up well enough.